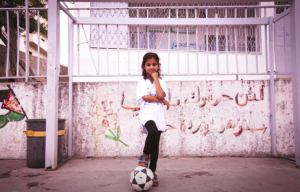 CAD FA are working now to raise the money for a Palestinian girls’ football visit to the UK – we hope in October 2019. The Abu Dis girls’ football club started about three years ago, and since that time we have wanted to reinforce the links there are with Abu Dis by bringing girls over here to play football with girls from Camden. It has been a long time coming but we hope that with the good will we are feeling around us, we can make this happen this year! Have a look at this video, and tell us if you can help in any way! Posted on April 15, 2019 by CADFA.